I am extremely proud of my successes and two truly amazing highlights – which speak volumes about the ethos adopted here at Jococa – came about in 1993 and 1994 when, with just four home-bred Jococa cats exhibited at 14 shows each season, I was named Runner-Up British Shorthair Breeder of the Year. A huge achievement for a small cattery focusing on a select number of colours with a limited number of cats. As mentioned, I have been successfully showing my cats for many years although I am not so high profile on the show scene nowadays. 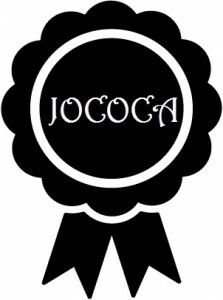 Finally, I should point out that although my prefix is solely in my name, nothing would have been possible without the unfailing support of my family – so in every other respect the Jococa prefix is joint. because they are mainly home-bred.